After 2weeks+ since i build my first starter i looked for a baguette recipe and decided to follow 36h sourdough baguette published by txfarmer - thank you! 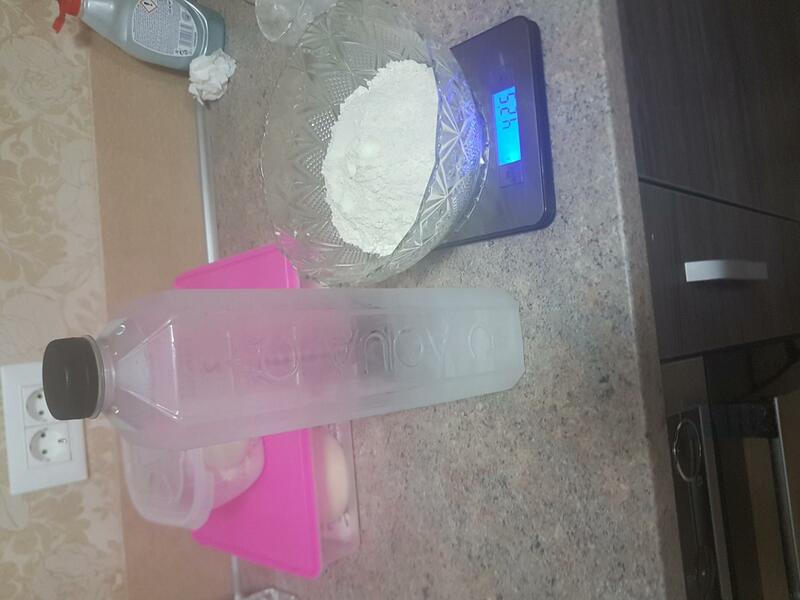 I starded building 150gr of starter and autolyse 425gr of AP flower with 300gr ice cold water . This is the momemt where i put it back in the fridge for another 24h. My question are about how it looks , and if the starter seems ok to use ? Your starter has expanded nicely and developed bubbles, both of which are signs of healthy activity. I am interested too...how to do it by phone. It depends on how i take the photo. Sorry if i disturb you. How about the dough? Looks right for a 75% hydratation? I really need to learn a lot about doughs...how it feel, how it look, when is proofed...ready to bake. Sorin, I use an iPhone. If you keep the camera button on the right for landscape and the camera button on the bottom for portrait format the images should orient properly. I had the same problem a year ago. You can also edit the image in your phone’s camera software in order to rotate it. Crop is also possible. I hope this works for you. I know how frustrating this can be. Do you think also the dough was underproof? After 22h getting the dough from de fridge, rest 2h, divide and preshape 40 min, shape and final proof only 30 min because my kitchen was verry hot - previously bake a pizza with 1h of preaheat the oven at 300C. Any comments will be greatlly appreciated! I really enjoy baking and after baguette , next loaf was a 3 seed sourdough with 3 type of flower - AP , Rye and Spelt . Hidratation was 75% but the dough feels like 70- 72% i think and added a bit more. I bake it in the same day - couldn't resist to retard it over night - maybe next time. Autolyse - 30 min, fermentation 2h:30 min with SF from 50min to 50. Preshape, rest 30 min , proofing 6h at 22-24C cause lack of my starter activity. In my oppinion i thinnk i could push it another hour but my oven was heating by 2h or so...:) . Bake with injected steam at 230C for 15min then dry heat at 210C for 20. I think next time i will bake at 200C for 25-30 min. That bread is REALLY enticing. It keeps calling me to try a bite. You mentioned that your oven was pre-heating a long time. That is aa major reason why I like to retard the shaped loaves and bake straight from the refrigerator. No need to wait for the dough to proof. Scoring is also much easier. You said you sliced the bread not long after baking. Can’t tell from the images, but is the crumb a little wet or not? you want bog holes or really bade for everything useful. Love the seed add in bread too! Real nice for your first two loaves. Thanks for all kind words.. Thanks for all kind words...yes, crumb was a little wet. I will try to bake straight from the fridge to see the results. About proofing in to the final form i am scared about overproofing, i think is more safe to save the dough in bulk. My experience with baking is really low and need to learn a lot about timing and proportion of starter vs time of proofing in fridge. My oven have a special program wich allow me to low the temp to 30C . It have a food probe also wich allow me to read the temp from the core and i am really tempted to use it for bulk fermenting/final proofing next time to develop more lactic acid . What do you think? 30 celsius is too much? I think the core of the dough will be 2-3 degrees lower . My particular starter is a litle slow if i feed it 1.2.2 or 1.3.3 without the addition of 25% rye. I like sour taste also but we are more with mild taste . So need to keep a good balance of lactic vs acetic acid and this is hard to achieve. Change only flower - 90% AP and 10% WW spelt, same seeds. Bulk fermenting 2:30hour with SF at 45min interval, preshape, rest 30 minutes , shape and final proofing was in fridge for 22h - with minimum rise. Because of this i let it on the counter for about 2h . Preahet the stone at 300C for 50 min, bake with steam injected for 15 minutes at 230C , heat up and down for 15 minutes - no fan , and final 10 minutes at 210 with convection. 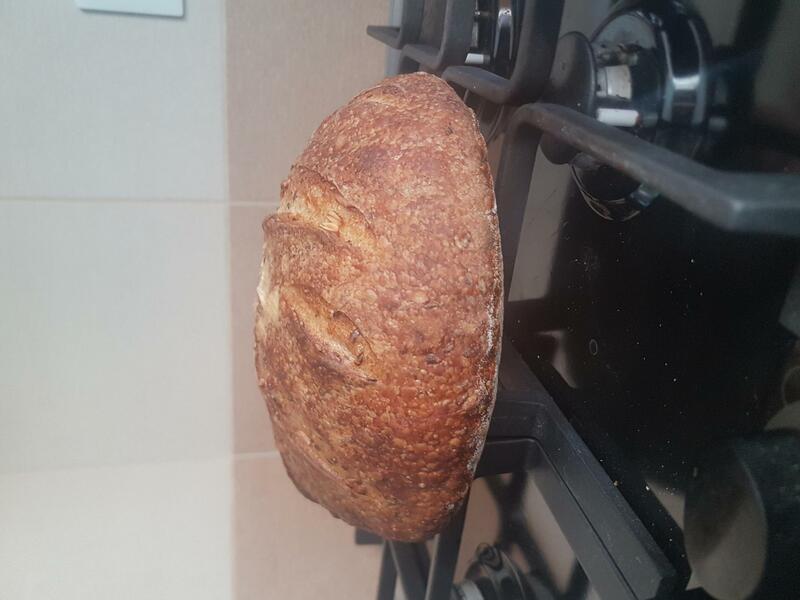 If you have any recomandation to bake bread on a combi steam oven please do. I have so many options - 100% steam , 30 % steam - fan assisted , heat up-downd , no fan, heat up or heat down only , heat up fan assisted, heat down fan assisted, convection mode....and really don't know which one work best for bread baking. Firstly crumb is more open than my previous and taste is just a little more sour cause of the retarded dough at 3C . was because I couldn't taste it so I felt cheated :-) Normally I would deduct 5 for that but this one is just too good for such a harsh no taste taste penalty . 3 B'S and OSM too! Doesn't get any better than that. That’s amazing! 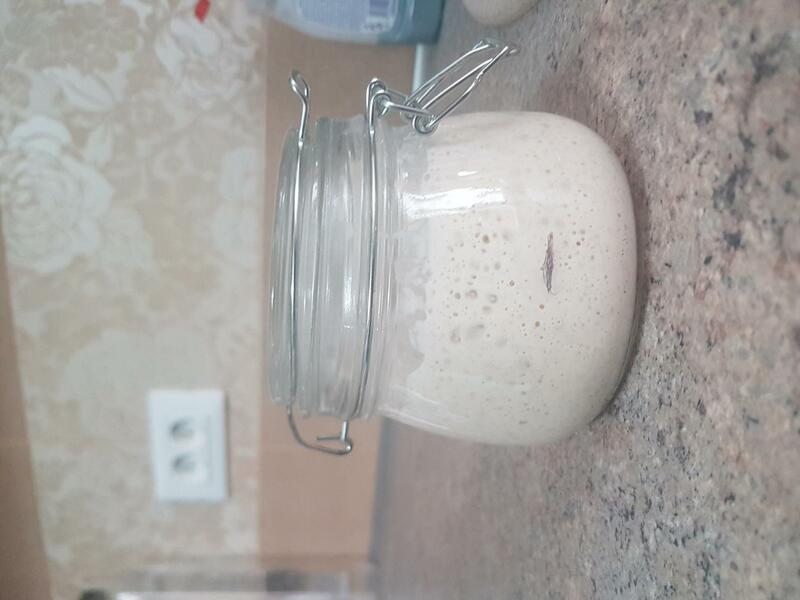 Less than one month ago, you make your first starter. And now, you make this beauty. Outstanding, we look forward to seeing your future successes. 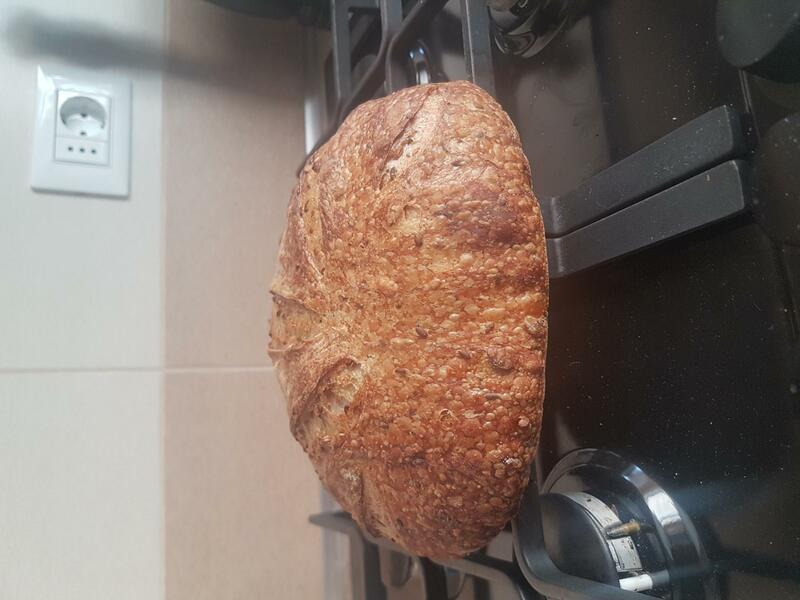 Yes, I discovered sourdough baking 1 month ago from @Coduta blog and before that i never bake a bread before in my life. I have a great experience with cooking , i am not a proffesional...just pure passion. From 1 month my new passion is baking bread :) . I have a lot to learn but i am really happy that through @Codruta blog where i found a lot of valuables informations ..i found this wonderfull forum also. Hammelmans book is also a "bread Bible" for me. I am really interested to learn how the "chemistry" work in baking and how small adjustments goes to your desired results. Tommorow i will try Vermont but i don't know yet if i should retard or not? What do you think about retarding on this recipe? "Tomorrow i will try Vermont but i don't know yet if i should retard or not? What do you think about retarding on this recipe?" Sorin, I agree with all of the above comments. You are making fantastic progress. I have baked Hamelman's Vermont Sourdough a couple of times, and I retarded the shaped loaves overnight both times. 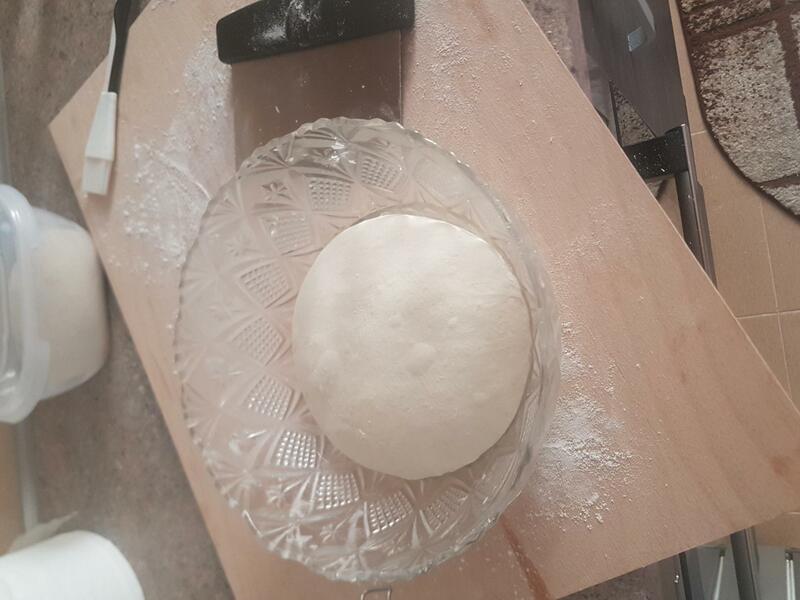 It is a fairly stiff dough without a lot of extensibility, Scoring was very easy because of the texture of the dough, especially when coming out of the refrigerator. My suggestion is that you follow his recipe this time and then determine whether you want to make any changes the next time. 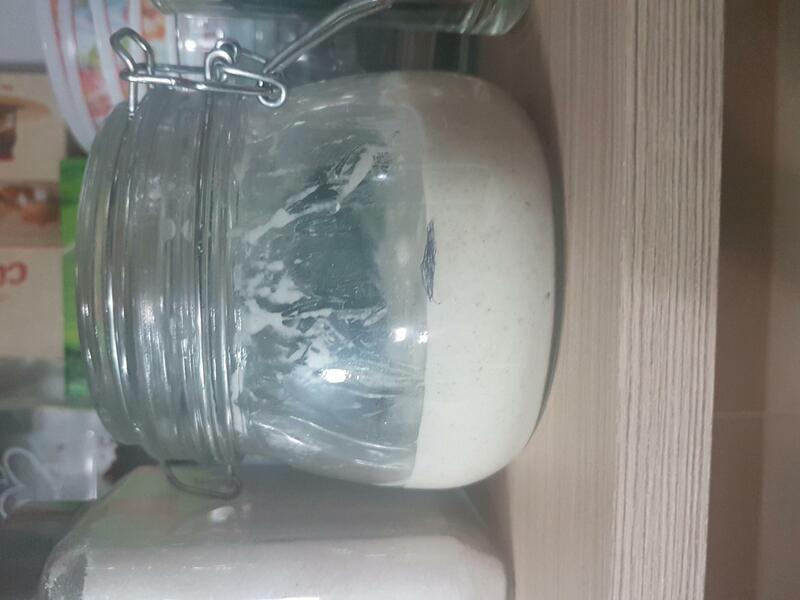 Folowing this post: https://www.theperfectloaf.com/store-sourdough-starter/ i've been devolped 2 dry methods of sourdough starter storing - drying and crumble - . I will store crumble after complete drying with some extra flour to better absortion of humidity and refresh it every 6 months. No need to refresh dehydrated starter, in my experience. If you want to backup your backup you can dehydrate a new batch a year or so later. I was thinking of the crumble since it contain extra flower with an usual expired date of 6 months. I have no experience with floured starters, just dehydrated. Today bake .... Hamelman recipe for Vermont with proofing time for about 1:30h then a retarding for about 18h. Get the dough out from the fridge, preheat oven for 1h and bake . My conclusion is that i like to work with more than 65% hydratated dough . This was too stiff and quite hard to work with it . Maybe next time i will increase 3-5- 7 % more to see the difference, with a little more work of the dough , allmost fully develop gluten and bake in the same day....more like " Pain au Levain" from the same book. About mistakes ...i think i cut to deep this time and the dough was kneaded a liitle less as i want. Shaping wasn't good also...i think . Proofing was made in a couche and use as a support a loaf pan 30cm long, 10 cm wide - still missing banettons :(. That is a lovely bake with a nice ear going on there. The only advice I could offer is perhaps be a bit more adventurous in the bulk ferment. It certainly had enough time in the final proof stage as long as the bulk ferment was utilised to its full potential. But other then that that's a good bake. Thanks Abe, bulk was 2:30 min ...as always, with only 2 SF at 50 min interval. I agree that didn't see much activity on bulk, that was the reason i let it proofing 1.30 min on the counter. Do you feel is underproofed? I think somewhere long the line the ferment wasn't done fully. Be it levain, bulk ferment or final proof stage. I'm thinking you could have left it longer at the bulk ferment stage (obviously taking into account that the levain build went well) till you noticed more activity. This would have given a open and even crumb. 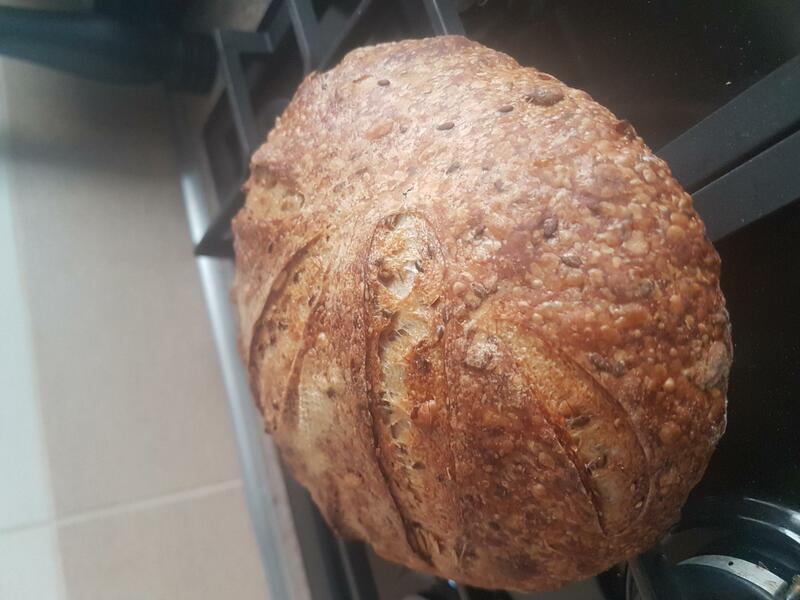 I am thinking about levain , was my first time when i work with 125% hidratation - built it over night and in the morning i found a lot of activity ...smaller bubbles than a 100% ..."soap" bubbles on top...but it was raise like 1/3 . Could be over ripe ? Usually my 100% starter raise like 2 1/2 - 3 times before is fully develop. I will make another experiment tommorow with 125% levain to see how is develop over the day. will not rise as much as a 100% hydrated levain. It should be full of small bubbles and frothy when ready. Will smell lovely too. If left for the full recommended time then that should be fine. 12-14 hours if I remember correctly. I've been working a fair amount in the past year with 125, white as well as rye flour levains. If the levain was "over ripe" you would see it start to recede down the sides of the vessel. This is for a white levain. A rye version of it would grow way more and there would be visible alveoli/gas bubbles throughout the levain. If you really want to experiment, make each side by side to record the differences. Your Vermont SD looks just dandy. Very nice indeed. Some " rat holes" : bad shaping ? This could be down to an uneven crumb more than shaping. Your shaping looks fine. Is this look right to you guys to use it ? That is a beautiful bread. That is a beautiful bread. You really never know how the dough will turn out until you bake it. It is standing tall and proud with great ears. The crumb looks wonderful! Your crust looks pretty thin to me. Did the crust turn outlike you wanted? Quite so, much thinner than Vermont but i wish a little more :) . I am thinking to short the autolyse to 15-20 minutes and do more slap and folds. What do you think? I don’t know how to bake super thin crust. I am under the impression that ultra thin crust is baked in commercial deck ovens with steam injection. But I hope I’m wrong. I’d love to produce that in my home oven. I find that baking at lower temps makes for softer crust. If I bake hot, the crust is thick and the bread chewy. 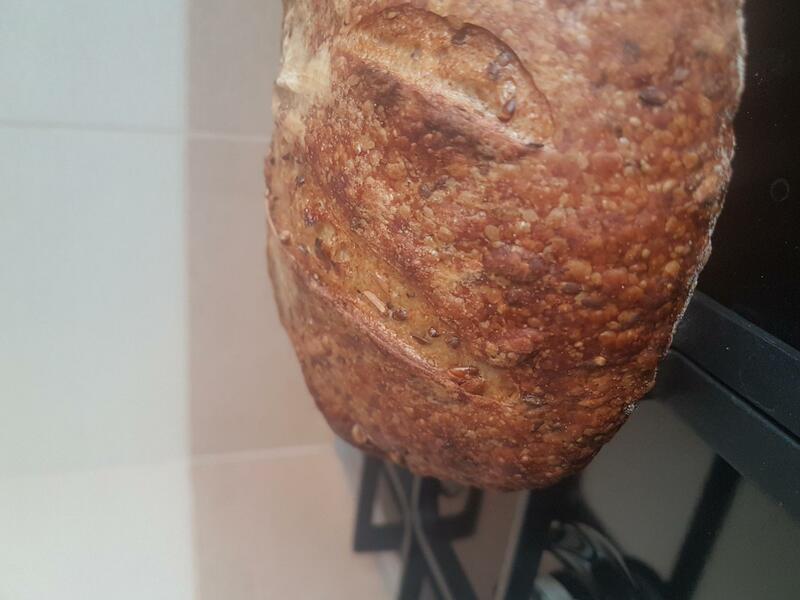 Today baking is sort of pain au levain formula from Hamelman but with some changes - 90AP and 10 WW spelt flour , 7% toasted sesame seeds added and increase water to 72% . Because of WW and seeds dough feel like under 70% maybe 67- 68% idk. :) Total dough was like 1150g and was intended to shape a boule but since i want to get more experience , divide in 4 and make mini batards :) . Taste is verry good, my wife said that are the best since now. :) . I don't like sesame too much ...so for me is no 2 or 3 . Again scoring was a mess! :) Shaping was much better than previous time . I followed : https://youtu.be/PmxDKuGLWuE and this one : https://youtu.be/xUeS2PSXtP8 ...helped me a lot. Your breads look great to me in all respects. Your crust looks better. Did it turn out thinner, like you wanted? Thanks for you kind words! Crust was thinner , like it but i think it was also because baking time was reduce with 10 min and also use higher temp. I want to make again roasted potato with herbs since i did that formula only with pate fermentee and try bigger loafs - like 2kgs - " Miche style" . This is my 7th attempt trough the magic of baking. :) . 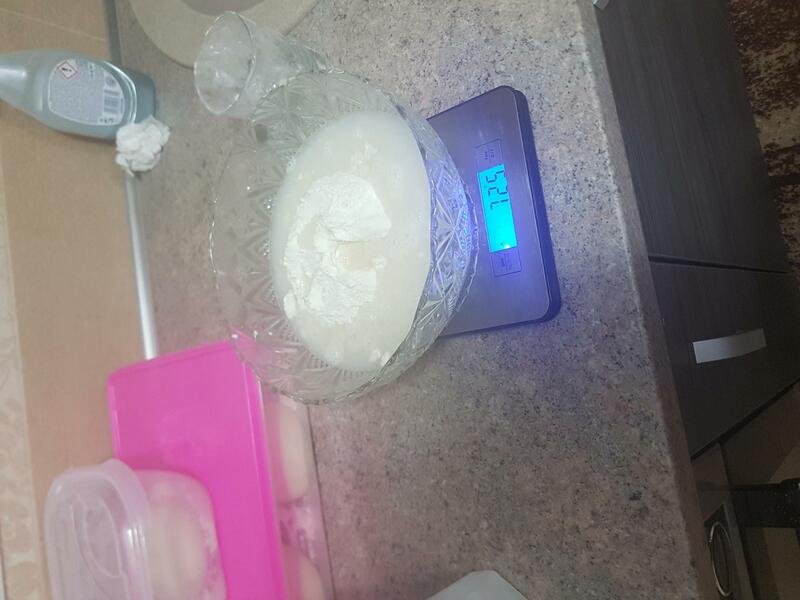 I was thinking to do 1 2 3 sourdough recipe and started from 200g sourdough starter. Flour 100% AP. Autolyse 30 minutes, then slap and fold until the magic was happened - yesterday i was feeling for real how the dough become lighter, smoother ...full of air and - i did like 300-400 SF - you can't immagine how happy i was . Gluten was allmost fully developed. Bulk 2:30h with 2 SF at 45 minutes then retarded for 17h . Rest for 1h on the counter with minimum preshape just after i take it out from the fridge , shaping and proofiing for about 1:45h . Preheat oven at 300C , steam injection for 15 minutes , conventional 15 minutes at 230C then convection for 12 minutes at 210C. This is my nr 1 for taste !!! Sorin, you have made such great progress in a really short amount of time (but you are also practicing, which is part of what is required to improve). You clearly have so much enthusiasm for baking, and for me the joy and pleasure of working with dough is one of the main reasons that I really like to bake bread. Your loaves look fabulous (including the sesame loaf above). Thanks for posting. Keep baking! Today i also make some sandwich rolls with stiff levain , 15% preferment flower, 72% hidratation , 2.5% extra virgin olive oil , 2.5% sugar and 0.5% herbes de Provence , sprinkled with sesame seeds - my wife preference. I was so excited to bake them ...this was translated in a big fail => underproofed . :) . I am confident that the result with a retarded dough or a finished proofing will be amazing . I have noticed in my breads and also in a number of images on the TFL a particular crumb structure. It is pictured in your bottom image. The crumb in tight near the crust and has large holes in the center. I am trying to learn what causes that. My interest in the crumb as it relates to under and over-proofing have lead me to start an experiment. I don't think that troubleshooting crumb is a skill in which many of us are proficient. I often an image of a crumb and some replies say, it's over-proofed while others (looking at the same image) claim it is under-proofed. I know for a fact, I am clueless in this area. If interested, here is a link to my present testing. http://www.thefreshloaf.com/node/57309/experiment-learn-under-and-overproofed-dough . In that post I link to a YouTube video that I published detailing some of my findings. Trying to save this one but no succes . This is how is looking an overproofed loaf? I slap and fold this dough untill i had a smooth windowpane with 45 minutes autolyse . Hidratation is 71% , bulk 3h and final proofing 2h...but i forgot to preaheat the oven and put the dough in the fridge for another hour . Could be anything else also? because you have a few big holes but surrounding them the crumb is tight with very small holes. Agree with both , but poke test and raise during final proof tell me the oposite. That's why i retarded for 1h after 2h of proofing , until the oven was heaten. Maybe i was fooled because the dough was softer than other days. 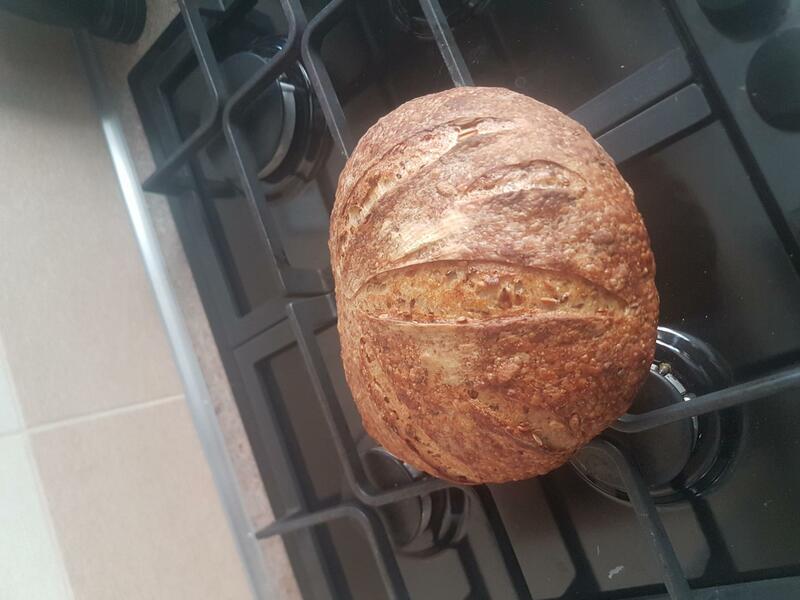 I want to understand if an intensive kneading with a verry good gluten developement could lead to that result or anything else. If I understood correctly, you did a finger poke and the dough was sluggish to recover. If that is the case, you may have pressed on top of a large pocket. There does appear to be a small void under the dark spot on the right side of the crust. Maybe next time depress the dough in several places. If you look at the image above and notice how firm and tight the crumb is, it is difficult to image that the skin wouldn’t recover from the poke. The bread bloomed very well, indicating that excess gas was available at the time of bake. An over-proofed bread has exhausted all possibility of additional gas. It is in decline, it can’t rise. After completing a number of proofing test I have started placing a firm hand on the top of the dough and lightly pushing down. The dough should resist the pressure and be bouncy. If it gets to the point that the dough offers very little or no push back, it is probably over-proofed. The dough should mantain a lively feel. At least that is my present thoughts. Thanks Dan, i will be more carefull next time :) . If i remember corectlly more than 75% ( 3 or 4 ) of the loaf bake in same day was a fail for me ...so it is time to change something . :) . I will pay more attention to final proofing - it is diffrent from a retarded dough . I am so excited that i want to share with you my happiness about eating this doughnuts : http://www.the350degreeoven.com/2012/05/pastries-pies/homemade-glazed-donuts-krispy-kreme-doughnut-copycat-recipe/ . I am sure is well known but for me is a new one and the best . This dough is so soft and is melting in your mouth . Most chalanging for me was to translate recipe in grams as i am not use to it with cups, i always use a scale. I use cups, than scale, than look on the internet to see if measurements are close :) . Make the tangzhong, melt butter, sugar and salt in milk than cooled, add flour and egg, and knead like 20 minutes by hand . Proof 45 minutes than gently deflate - like a strech & fold , proof another 45 minutes , make doughnuts and let them raise for another 10-15 minutes. I never thought of makng donuts. Good job.